Photo credit: Getty Images/Weekend Images Inc. The car is packed and the kids are ready for summer vacation to officially begin. It’s nearly time for another action-packed season of family road trips, outdoor adventures, and long days on the beach. Luckily, with some help from Dorie Obertello, RD, LDN from the Department of Clinical Nutrition at St. Christopher’s Hospital for Children we’ve sourced a few healthy snacks and tips to guide long car rides or days at the shore. Follow these dietitian-approved rules of thumb and your cooler will be stocked with healthy essentials for a nutritious vacation! When stocking on-the-go snacks, ease and portability are key. Choosing travel-friendly fruit allows for a prep-free snack at home or on the road. Take apples, oranges, peaches, pears, clementines or bananas for a ready-to-eat snack you don’t have to worry about falling to pieces. Try dried mango, figs, and dates as a nonperishable alternative. Packing veggies always makes for a healthy snack, and is a great way to keep the focus on fresh food. Bring along baby carrots, sliced bell pepper, or celery sticks and a healthy dip to accompany your child’s favorite fresh choice. Include a single serving packet of hummus or guacamole for a spill-free option kids can enjoy on the run. Nuts are nutrient-dense, ready-to-eat, and portable. Try a handful of cashews, almonds, walnuts, or pistachios for a filling snack packed with healthy fats. If your child is allergic to nuts, try sunflower seeds or popcorn instead. Popcorn is a portable whole grain option that happens to be low in calories. When you’re juggling a busy schedule and hungry kids, mealtime sometimes gets lost in the rush. However, it’s important to establish and maintain a sit-down mealtime at least once or twice a day. Take time to stop for a meal at a table together. This is a golden opportunity for parents to talk about food, model food behaviors, and reinforce structure for picky eaters. Eating seasonally is a win-win. Not only do foods tend to taste better when they’re in season, but they’re also less expensive and travel a shorter distance from farm to plate. Fill your kids’ plates with berries like blueberries, blackberries, and raspberries earlier in the summer. In late summer, choose stone fruits, like peaches, nectarines, or plums. Research suggests it might be time to nix the meat altogether. The World Health Organization classifies processed meats – hot dogs, ham, bacon, sausage, and certain deli meats – as potentially cancer-causing carcinogens. Instead of grilling up hot dogs or hamburgers, opt for healthier meats like chicken or turkey. Consider veggie burgers too- there are dozens of varieties for any palette. Summer is the time of year to embrace fresh fruits and vegetables. Try pineapple slices, zucchini, or bell pepper on the grill. Grilled veggies shine in a wrap with hummus or avocado. Serve grilled fruit with a dollop of Greek yogurt for a fresh dessert at your family cookout. Summer is a bountiful season of fresh, accessible, and delicious produce. It’s often punctuated with celebrations, trips, get-togethers, and outdoor activities. In the midst of summer excitement, remember that traveling and being on the go doesn’t have to mean fast food, unhealthy choices, and disjointed mealtimes. 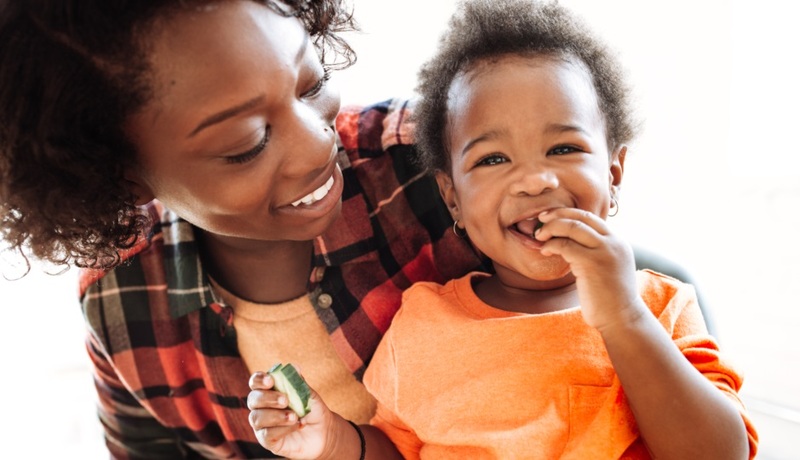 A little investment in planning and preparation can yield great rewards in the form of healthy foods and beneficial behaviors for the whole family. For more information from the Department of Clinical Nutrition and fostering healthy habits in kids, visit St. Christopher’s Hospital.